"Frequently, I needed to only discuss the general parameters of a project with Bill and then 'turn him loose' to work directly with our product managers and staff." Ironically for an advertising agency, most of our new business comes through referrals from our existing business-to-business clients. And many referrals tend to be companies within the same industry. Headcovers and hoods for powered and supplied air respirators. Used in pharmaceutical manufacturing, chemical industry, agriculture, woodworking, surface preparation and coating, pulp and paper processing, laboratory and healthcare, and food and beverage processing. Also see 3M / Hornell Speedglas. Industrial electrical and explosion-proof enclosure systems. Manufacturer of compressed gas handling equipment for medical and industrial markets. Industrial infrared heaters for comfort and process heating. Generator load banks, aircraft power test equipment, drive systems, heavy duty encoders, digital tachometers, and crane control retrofit systems. Replacement pumps for high-end printing equipment. Engineering and manufacture of auxiliary systems for gas turbine power plants. Manufacturer and marketer of galvanizing kettles, pressure vessels, transportation packages for the chemical and nuclear industries, and spent nuclear fuel storage containers. Flexible multi-ply tubing for thermal protection and air-handling applications. Electrical fittings sold through distribution. Alloyed corrosion protection in flexible ceramic coatings. Pressurization systems for electrical enclosures used in explosive environments. Highly specialized tools for tool and die makers. Battery chargers and accessories for harsh-environment applications. Pioneer in auto-darkening welding helmets and welder respiratory protection systems. Acquired by 3M in 2004. Specialty wiring devices for harsh-environment applications. Industrial plugs and receptacles, including "switch-rated," hazardous duty, multi-pin, and high amperage connectors and custom power distribution panels. Control and measurement sensors for material handling and process industries. 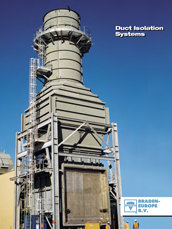 Electrostatic precipitator system design, construction, components, and performance analysis. Small enclosures for electronics manufacturing. Preformed sealants made from specialized butyl tapes and saturated foam tapes and gaskets. 2000 maintenance coatings, lubricants and chemicals sold through industrial distributors. Includes: Krylon® Industrial paints and coatings, Sprayon® and Tri-Flow® lubricants and specialty chemicals, Martin Senour® industrial coatings, White Lightning® caulks and sealants, Rubberset® paint brushes and applicators, Omni-Fill® aerosol-filling systems, and Cello® janitorial supplies. Pressure sensitive tapes for automated packaging, industrial, retail, HVAC, arts & entertainment, professional painting, automotive, marine, and aerospace applications. Specialty chemicals for electronic and metal-joining industries. Pneumatic tools for welding and HVAC industries. Expansion joints for pipelines in gas turbine systems. Thermally-conductive materials for compact electronic enclosures. Specialized products for the power industry, including flue-gas conditioning for improved pollution control and gas turbine plant components.